Carroll College was founded by and remains connected to the Diocese of Helena. It is this diocesan character that imbues Carroll College with a particular focus on service to parish communities throughout the diocese and, more broadly, to the citizens of Helena and Montana. During his speech at the laying of the cornerstone of St. Charles Hall, Bishop Carroll articulated the College's local commitment by noting that one of the College's purposes was to provide the young people of Montana with "a thorough, liberal education which will fit them for leadership in any vocation they may choose." 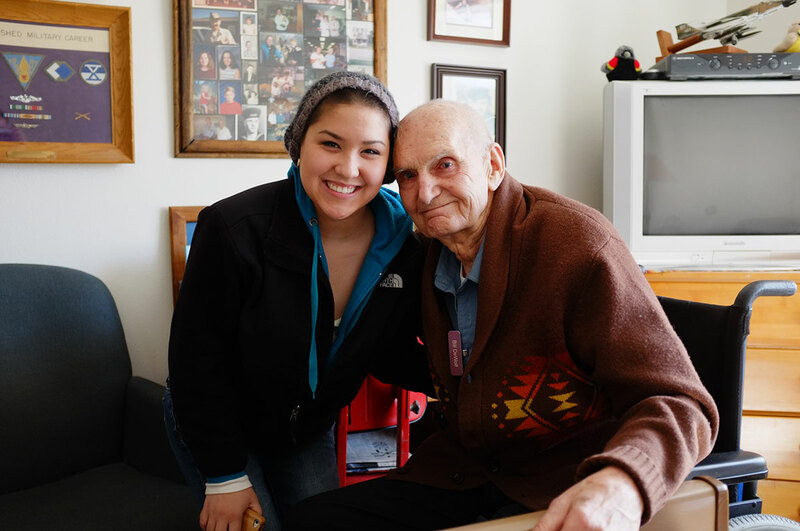 While Carroll College now attracts students from a number of states outside of Montana, it continues its tradition of service to the diocese and citizens of Montana. Many Carroll students remain in Montana after their graduation where their professional and personal qualities act as a leaven within their local communities. For over ten years the faculty members of Carroll's theology department--in addition to their normal course loads--have taught as part of the Diocese of Helena's Pastoral Ministry Program. This two-year program equips lay members of congregations throughout Montana with the tools they need to be more effective leaders within their respective churches. The program leads participants through a series of topics that span the Bible, doctrine, Christian history, liturgy, spirituality, ethics, philosophy and group dynamics/leadership skills. Finally, the Hunthausen Center for Peace and Justice coordinates regular Service Saturdays where Carroll community members commit time to serve with local Helena service agencies. Since its inception in 2013, Carroll community members have completed over 1,500 hours of service during Service Saturdays. Additionally, during that same time Carroll community members have contributed another 4,226 hours of service in Helena and throughout the State of Montana. As one service agency says, "Carroll students seem to come to our community with hearts wired to volunteer. They are dedicated to the organizations they partner with and do their work with excellence." "It's so great that Carroll encourages serving our local community. It builds essential values in their students that they will carry on for the rest of their lives." Carroll College students are "positive, strong, educated, willing, and dedicated." "The many Carroll students we have worked with were all outstanding young adults." "Carroll students are a joy to work with! They are reliable, hardworking, and conscientious." "Carroll students have brought great energy, a strong desire to serve, and a serious dedication to our mission." "We are honored to work with a number of different class groups and with many different student service clubs. Their help makes a major difference to those we serve."